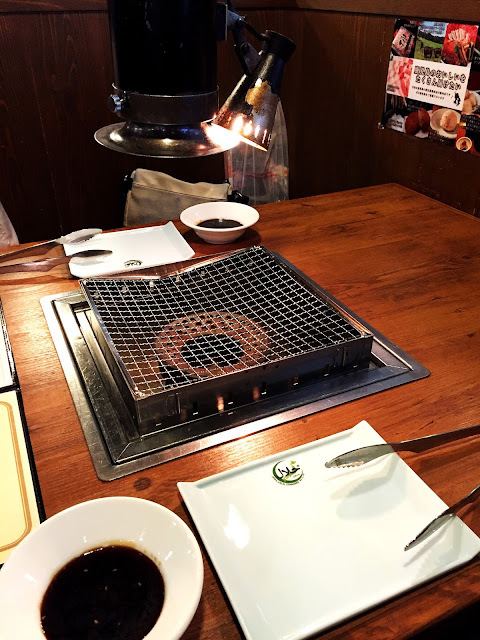 In our recent trip to Japan we did not want to leave the country without trying the tantalizing BBQ Yakiniku (Grilled Meat) spots seen often on videos on youtube, and luckily there were a couple restaurants offering halal meat! What a treat! 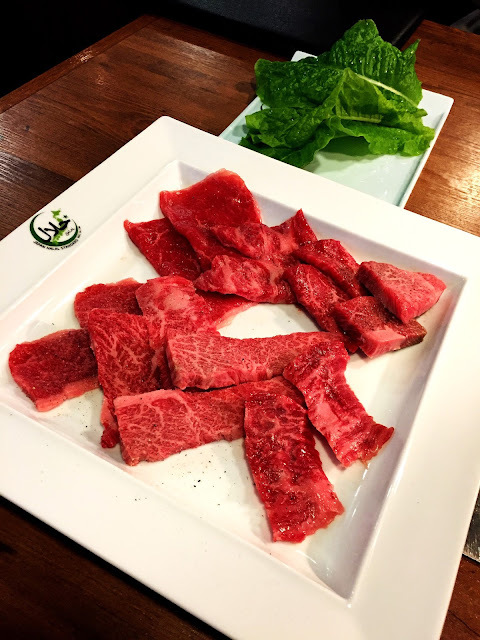 We were so incredibly excited to try the revered Wagyu Beef which originates from Japan, so we set our sights on "Satsuma Tanden Yoyogi" in Tokyo and set off! The first thing we noticed is that this restaurant advertises their halal status loud and proud, with much signage on their front display and front doors. Japan has a country-wide Halal Certification organization regulated by the government, and they are very strict in implementing and granting status to restaurants. 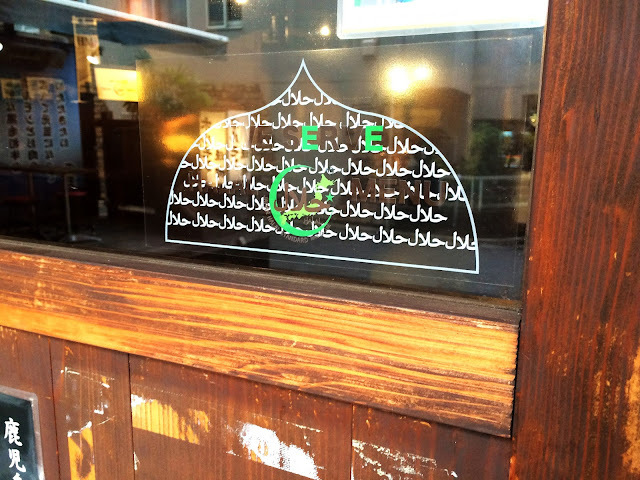 This restaurant was not completely halal, but we read that they had separate cooking areas and seating for muslim guests. 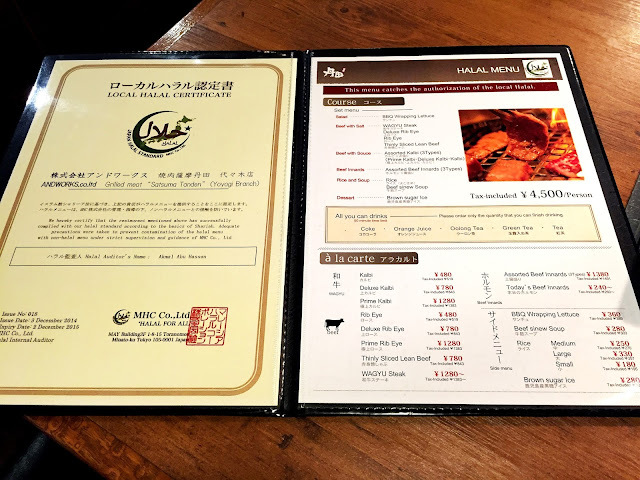 We entered and asked if we could have the halal menu and at first we were told that they usually only offer the halal menu at dinner time, when this was in the afternoon, but they made an exception for us and we were seated. We recommend calling ahead and reserving seats in case they turn you away in future. We were led to a specific set of tables which we were told were only for the halal meat, and were given plates with the certification symbol on it. How cool! The tongs and other utensils are also kept separate from the others in the restaurant. 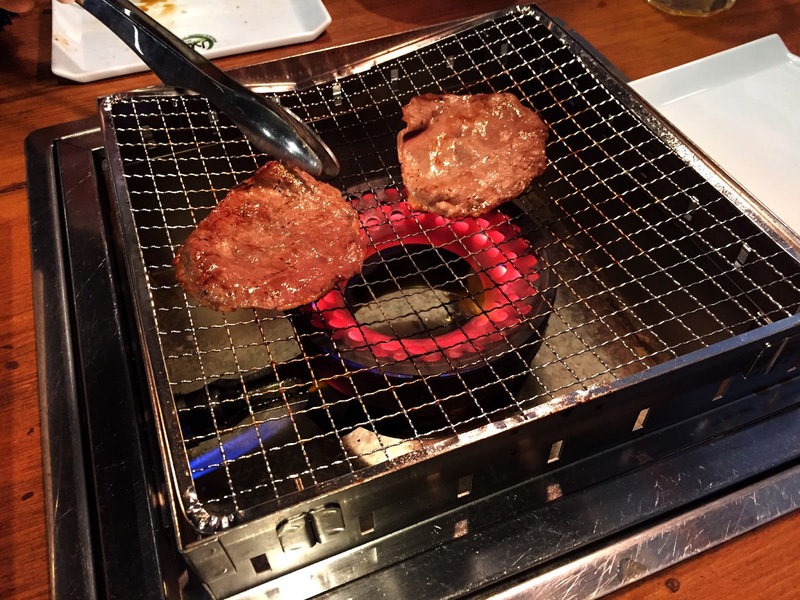 The table has a built in grill with an air vent above to filter out the fumes while grilling. The halal menu has the certification information in plain sight. Since we were on a budget and had planned our expenses in Japan to the T, we had looked at the menu online and realized that the "course menu" per person with everything included was 4500 Yen each (that's currently $52 CAD) so instead we planned to pick and choose the types of meats we wanted to try from the carte menu along with a couple of sides. Here was our second obstacle. We were told that we couldn't do that, and we could only order the course menu. The a la carte menu was only to order additional plates of meat to add on, afterwards. Looking back I should have realized that this would have been the case and not counted on being able to personalize our meal, but at least I learned a lesson. 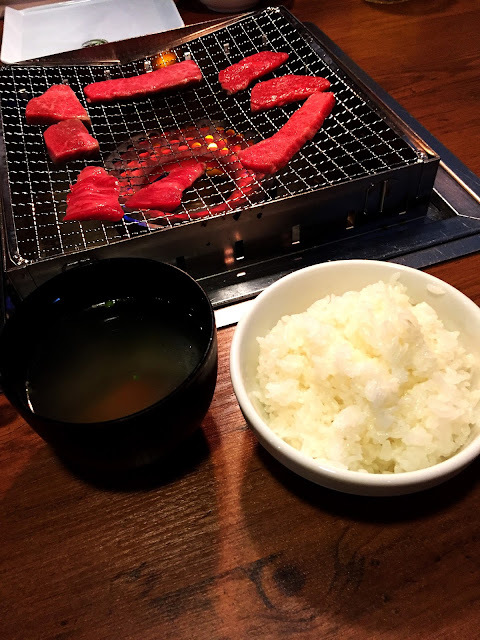 So as we weren't that hungry anyway and just wanted to try the wagyu beef, we decided on being cheap and just ordering 1 course menu to share with a few extra sides, and then go somewhere else later. I think the server wasn't too happy with that but he seemed to let it slide. 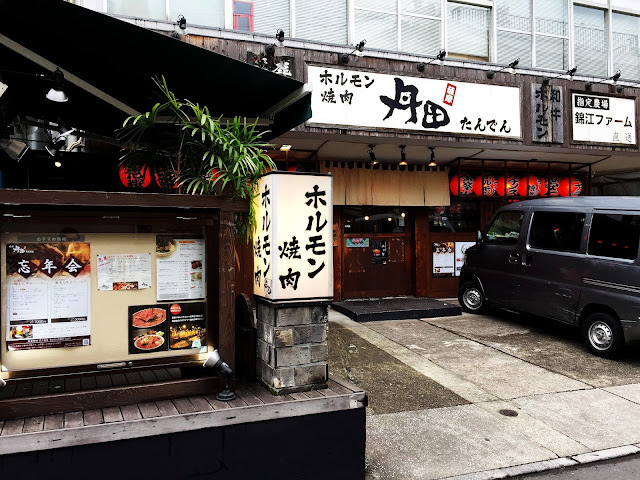 We had a couple of days here and we weren't planning on spending over $100 for lunch for two at one restaurant! 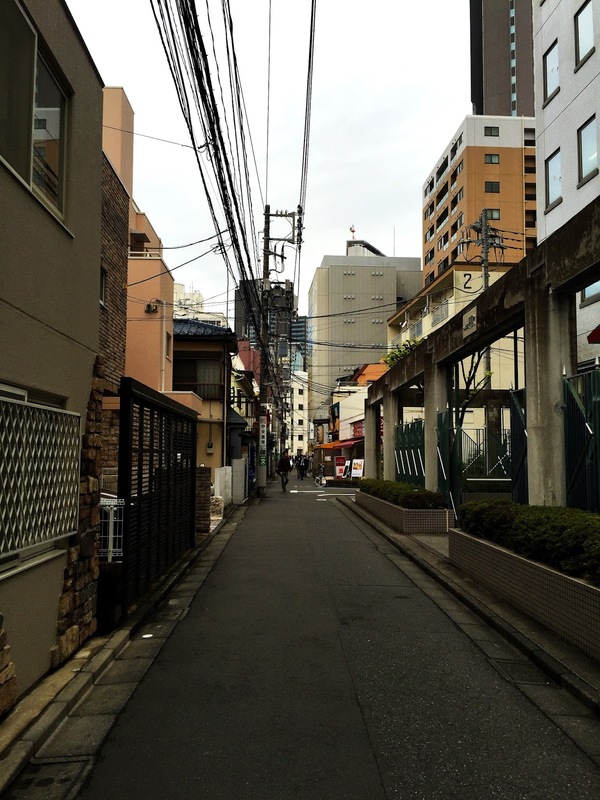 So learn from our dumb mistake and plan to spend a lot more than you thought you would in Japan. 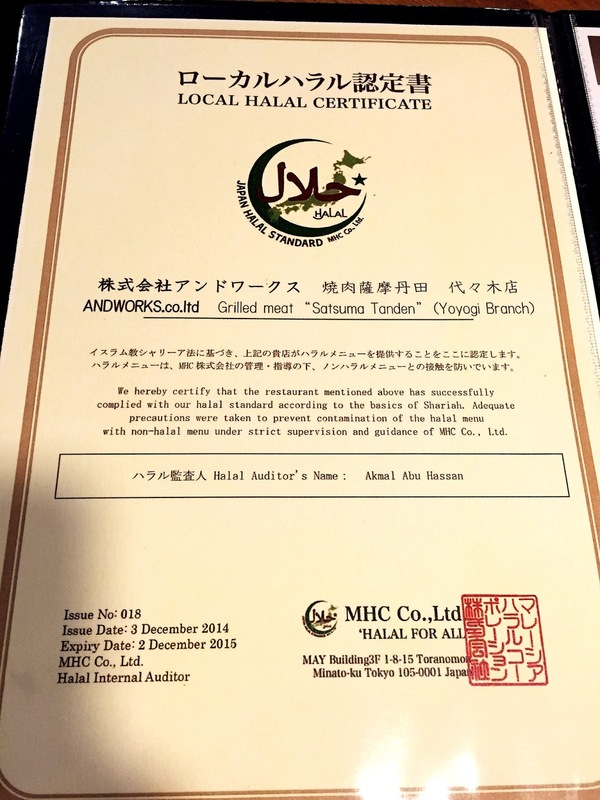 Here's a close up of the halal certification. And then the beef arrived! Check out the marbling on those cuts of beef, it was glorious! I think the top-right square shaped pieces were the wagyu beef, and believe me once we cooked it, we could tell right away. There was also some lettuce leaves for you to wrap your cooked beef in aftewards to eat, which was a lovely thing. And then we were grilling! You also got a bowl of beef broth and rice on the side. 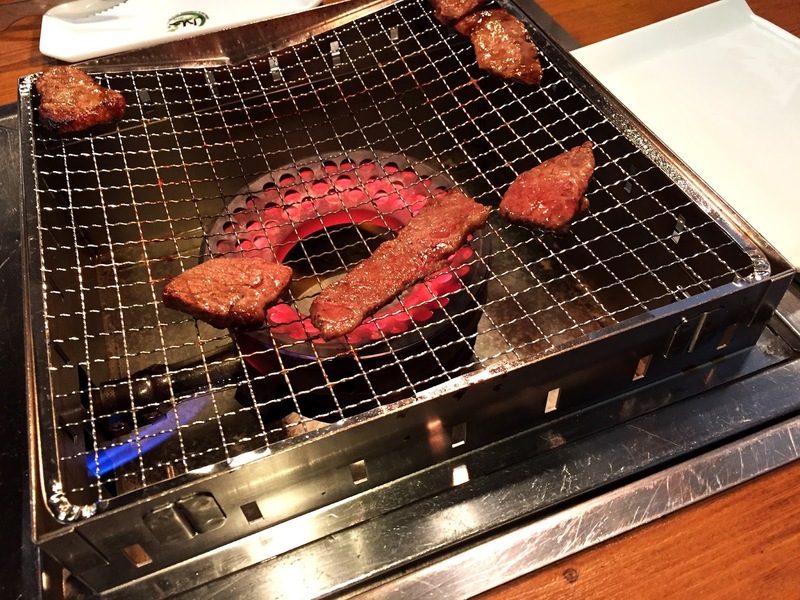 Those square-ish pieces were the wagyu beef. Let me explain the taste. Imagine you had perfectly grilled steak injected with butter. That's what it was like, but not really. It was JUICY and TENDER and unlike anything I've ever tasted. Looks of shock were reciprocated on our faces once we tried it, it was that good. You could bite right through it with no resistance and it melted in your mouth. It didn't need anything, no salt, no pepper, no sauce. It was absolutely delicious on its own. I'd chalk that up to the amount of fat that's marbling the meat, but oh man was it ever amazing. After trying the wagyu beef the other cuts just couldn't compare. It was like having freshly squeezed orange juice and then an orange flavoured drink. Still orange, still good, but worlds apart. There were a few other cuts that were close though, like the deluxe kalbi and deluxe rib eye. It's no wonder they only give you a few small pieces per meal, the stuff must be incredibly expensive to source, and halal no less. 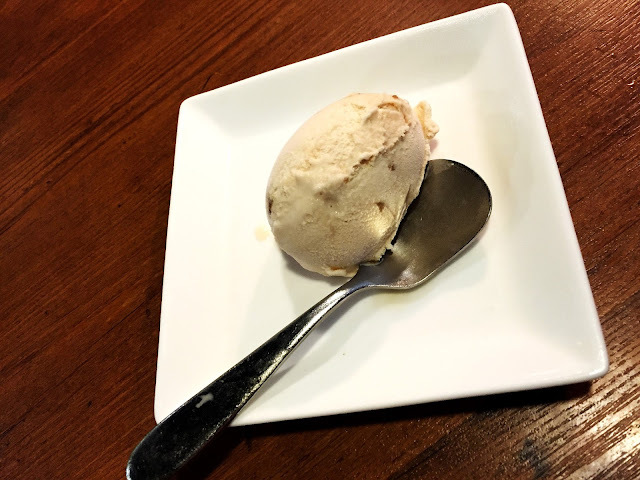 Afterwards we had dessert - Brown Sugar Ice Cream, and paid our bill. I left that restaurant a changed woman. I had learned the definition of steak and would likely never experience it again in a long time. Despite us not realizing that this was a higher class restaurant and embarrassing ourselves a little with the menu situation, I think that this was one of the food highlights of my life. There are a few other BBQ places in Tokyo that offer Halal wagyu beef, but if you're in the area and are willing to pay 4500 Yen per person, then I would check out this place. Check out our Japan Itinerary and Pinned Map for other stuff in Japan, or our World Trip Article Directory!